Yu-Gi-Oh! 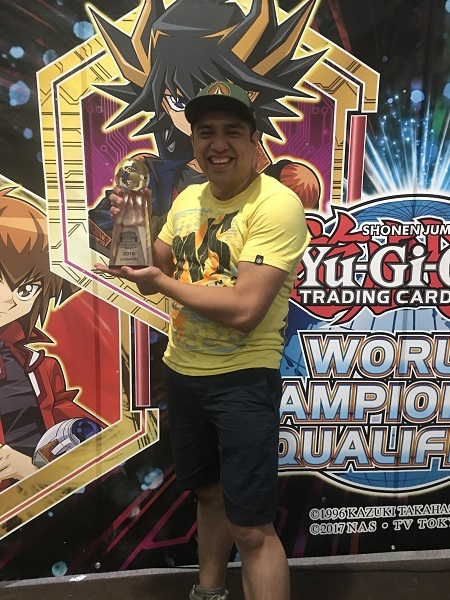 TCG Event Coverage » Central America WCQ Winner! Home > 2018 Central America WCQ, Championships	> Central America WCQ Winner! A champion has been named in the 2018 Central America WCQ! Roger Guzman Garcia used his Trickstar Sky Striker Deck to best the competition and earn an invitation to the 2018 Yu-Gi-Oh! TRADING CARD GAME World Championship in Japan later this year! Congratulations! Dragon Duel Finals Feature Match: Alan Leonardo Martinez Capetillo vs. Eder Adrian Aguilar Ortega Central America Dragon Duel WCQ Winner!